In the last week, I have received a few comments from people who have been introduced to the concept of leading with “Yes” and they have expressed how challenging it can be. I think it is an interesting topic worthy of additional exploration and so in this post I will do my best to uncover what it really means to lead with “Yes”. In Improvisation, the first thing we are taught is the concept of “Yes And”. The heart of the concept is simple—say yes to everything thrown your way and add to it to build a scene. When it comes to applying improvisation concepts to the work environment, however, there is more subtlety to saying and leading with a “Yes”. In the context of the office environment, leading with “Yes” does not mean that you are going to do everything. It does not mean that no matter what someone asks you for, you have to embrace it enthusiastically and add it to your to do list with open arms— I cannot think of anything that would more quickly send you to the nearest corner to take up the fetal position than that. Leading with “Yes” means is that you are willing to accept the conversation and to engage completely in a discussion. It means that you are willing to be open and truly listen to what is being said while also being fully attentive to what is not being said so that you pick up on the underlying emotions and intent. When you lead with “Yes”, a conversation has room to grow and will gradually reveal its full potential. It is no surprise that saying “no” becomes our default. It is self-preservation, a way for us to retain power. Managers in particular face a steady stream of asks for time, money, attention, direction, guidance, support, or other resources day in and day out. No one can blame them for automatically switching to “no” mode. By saying “no”, however, the possibility and potential of ideas are immediately snuffed out and employee engagement takes a hit. Who wants to have their ideas shot down and not be listened to? Take Notice. Start with simply noticing how often you say “no” in to an invitation to open conversation throughout a given day. Catch yourself saying it or thinking it. Be especially aware of the “Yes, but” response. “Yes But” is a Canadian “no”—it is polite but it still means no. Also notice what state you are in when you say “no”—are you tired, hungry, frustrated, worried, or running late? These or other states may be what triggers your inability to get yourself into a positive frame of mind. Cut the Multitasking. As discussed previously, saying “yes” means listening attentively. You cannot do that if you are multitasking. You are not fooling anyone. You know you are not listening and so does the person you are supposedly talking to. It’s not a secret your attention drops when you check e-mail, review a text message, scan your twitter feed, etc. Notice when you do it, stop, and focus on the conversation. Start with One. Once you are taking notice of when you say “no”, think about who you say “no” to most often. Is it a team mate, your boss, that guy in finance, your spouse, your kids? Pick one interaction to start to change the game by staying open and accepting of the conversation. Note the change and how the conversation shifts to a more positive outcome. Practice. Leading with Yes and exploring the potential of it takes practice. 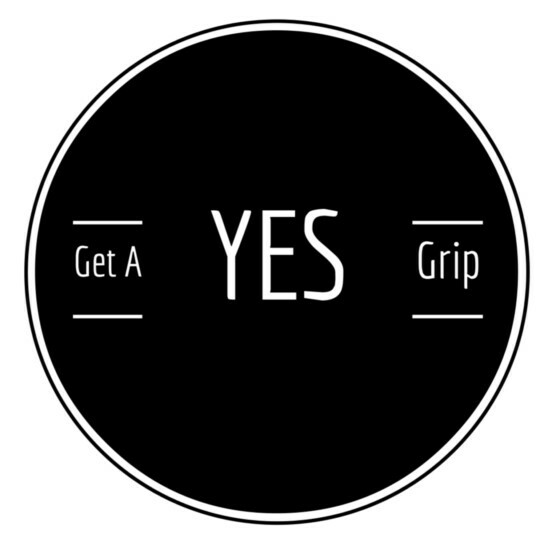 Go from one conversation with one person to introducing “Yes” more often throughout a day. Try if for a whole day or a week. Remember to accept the conversation and really acknowledge the other person by listening. Leading with “Yes” is challenging. The good news is that it is habit forming. By practicing what it means to be in a “Yes” frame of mind, we can unlock the potential of our conversations, unleash more ideas, and engage with those around us in a more meaningful way. I’m interested in what ideas you have to keep “Yes” front and center in what you do. Let me know what you think. ← Release the Prisoners (of Meetings)!